With C.S. Lewis’ words in mind, we want to establish how New Mexico residents perceive the industries, people and professions that shape the 47th state. While everyone knows the answer to the New Mexico’s official state question (Christmas), how do people feel about the industry that provides us red and green chile? Oil and gas tax and royalty contributions account for more than 20 percent of New Mexico’s general fund revenues, but does the industry have a favorable impression in our state? Where professions and people are raised – do we trust our pastor or priest more than our physician? How much do we trust family, relatives and friends? Do New Mexico residents have more trust in lawyers or journalists? The answers to these questions help shape communication strategies for our clients. Traditional news outlets have ruled the roost, shaping perception for decades. How has the new media changed how people access news and information? Is the Internet really changing the way we get information and what sources are viewed as trustworthy? Those were just a few of the questions on our mind. The answers might seem trivial to some, but to those of us who ethically shape perception, it’s gold. Every aspect of this survey can be affected, positively and negatively, by public relation strategies. Our clients will benefit from the full data and insight found deep in the details. It is our hope that the larger New Mexico community will see this data as motivation and/or an affirmation that current approaches need to be tweaked or initiated. 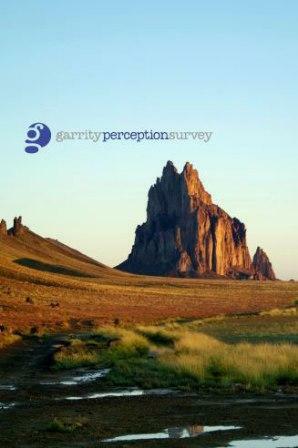 Visit the Garrity Perception Survey and tap into what New Mexico residents think about industries and professions.